As You Like It. a Comedy. 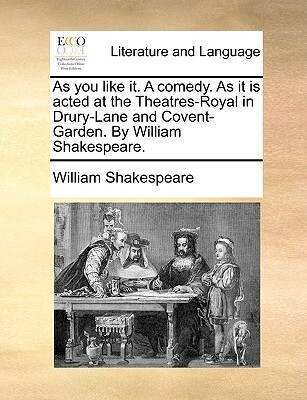 as It Is Acted at the Theatres-Royal in Drury-Lane and Covent-Garden. by William Shakespeare. (Paperback) | The Drama Book Shop, Inc. Possibly issued with 'Damon and Phillida. A ballad opera.' an abridgment, by Colley Cibber, of his own 'Love in a riddle'. London: printed for J. Wenman; and sold by all other booksellers in town and country, 1777. 23, 1]p., plate; 8.